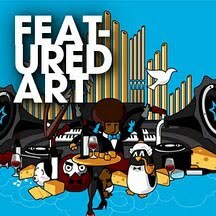 Check out the latest piece from Kartoon Vandalz. This one shows our panda mascot in a situation that he's never been in before. Skiing. Although scared, he's welcoming the games by trying something new. This artwork has nothing to do with the Olympics. For fun only!